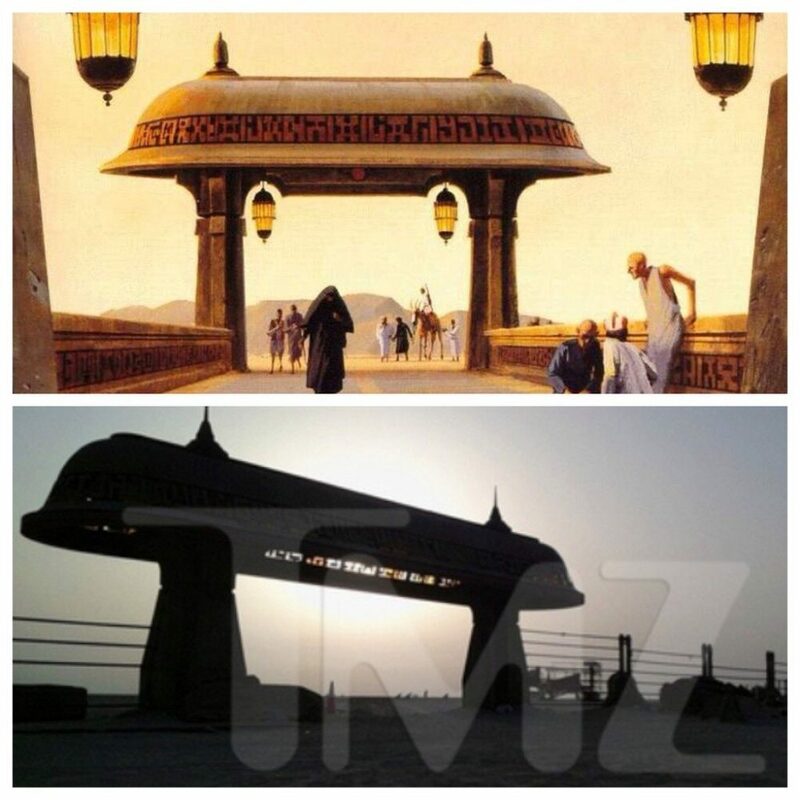 Over 40 pictures from the Abu Dhabi Star Wars: Episode VII set! I considered not running this. 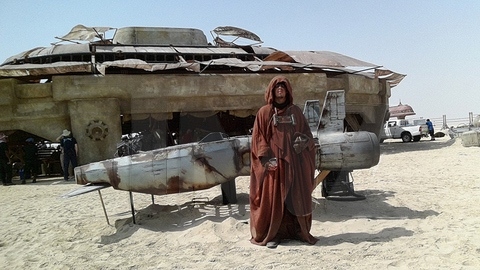 But TMZ has 45 pictures from Star Wars: Episode VII. You can tell by looking at them this isn’t sensistive stuff, really. You’re seeing extras and at the end of the day, a unique angle of the sets and props. 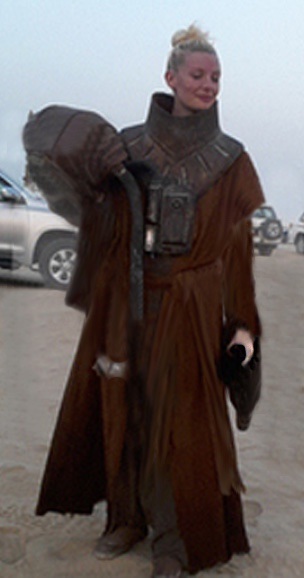 The speeder reminds me of The White Witch from Droids, but it isn’t. 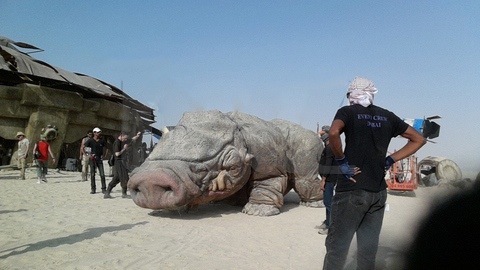 The pics are out there now and as a fan of the production of these films, I find the closeups of the extras to be really cool. That pig is really awesome too. 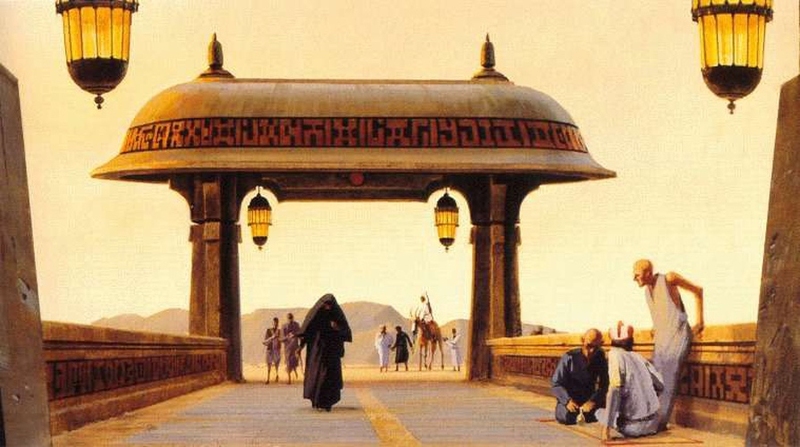 Update: The gate text simply reads WARNING in Aurebesh.